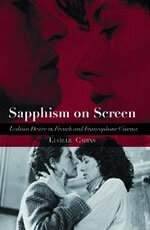 This book sets out to investigate and theorise mediations of lesbian desire in a substantial corpus of films (spanning the period 1936-2002) by male and female directors working in France and also in French-speaking parts of Belgium, Canada, Switzerland and Africa. The corpus is unique in never before having been assembled, and represents a valuable tool not just for researchers but also for university teachers creating courses both on lesbianism in film and on sexuality in French cinema. A fair number of the 89 texts treated are mainstream films which have achieved high critical acclaim and/or high viewing figures: to cite just a few examples, Henri-Georges Clouzot’s Quai des orfÃ¨vres (1947), Louis Malle’s Milou en mai (1989), Claude Chabrol’s La CÃ©rÃ©monie (1995), AndrÃ© TÃ©chinÃ©’s Les Voleurs (1995), and FranÃ§ois Ozon’s Huit femmes (2001). As such, they have contributed to hegemonic constructions of and debate on (female) homosexuality, in a century wherein sexed/ gendered identity, including sexual orientation, has become a preeminent factor in the constitution of subjectivity. While such constructions and debate have a French-language specificity, and have been produced in distinct socio-political and cultural contexts, this study also engages in analytical comparisons with relevant anglophone films and their own distinct discursive contexts.